UP state BJP president Surya Pratap Shahi has alleged that the raids on Babu Singh Kushwaha were guided by the central government. 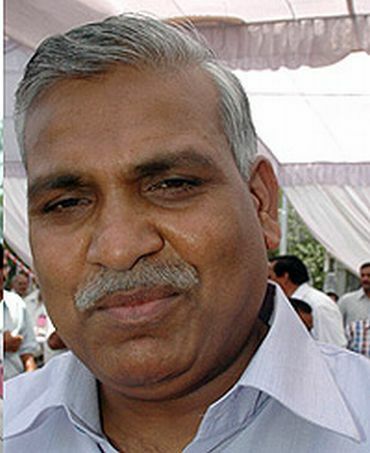 The Bharatiya Janata Party, which had announced the induction of ousted Uttar Pradesh Bahujan Samaj Party minister Babu Singh Kushwaha into the party on Tuesday, was dumbstruck when it learnt that the Central Bureau of Investigation had raided him early on Wednesday morning. The CBI had raided 62 places in search of clues relating to Kushwaha's alleged involvement in the Rs 8,000 crore National Rural Health Mission scam in the country's most populous state, Uttar Pradesh. According to CBI sources, separate teams fanned out in different parts of UP, Delhi and Haryana, where residences and offices of several people connected with the scam were raided. State BJP president Surya Pratap Shahi, who was said to be instrumental in pushing Kushwaha's case to party national chief Nitin Gadkari, shied away from admitting his role. "It was a decision of the party and we will defend our decision," he said. 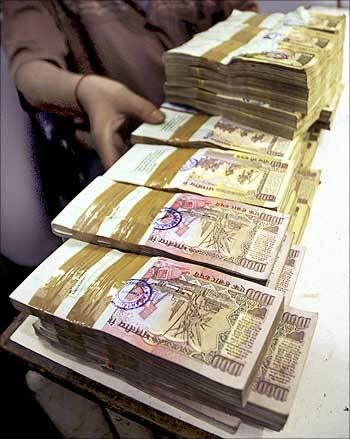 "It is quite evident that the CBI was guided by the central government," Shahi added. Interestingly, Kushwaha was inducted into the BJP barely three days after senior party leader Kirit Somaiya held a press conference in Lucknow calling the former BSP minister and one-time close confidant of UP Chief Minister Mayawati, a "big scamster involved in money laundering". 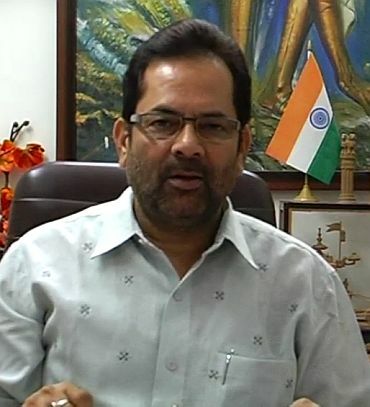 BJP national spokesman Mukhtar Abbas Naqvi looked sheepish in his defence when he sought to give the CBI raid a political colour. "Kushwaha was being targeted simply because he had joined the BJP," he told reporters in New Delhi. The CBI, which is investigating large scale financial bungling, is also probing the murder of three chief medical officers handling NRHM funds between 2009 and 2011. "Our current focus is specifically on the irregularities in purchase and supply of medical equipment and drugs under NRHM," disclosed a CBI source. BJP vice president Vinay Katiyar, who was seen at the BJP headquarters on Tuesday when Kushwaha was inducted into the party, chose to avoid the media on Wednesday. Despite repeated attempts, his mobile was not answered. Described as one of the major scams in the country, the CBI has constituted a Special Investigation Team comprising 26 investigating officers including five superintendents of police under the overall supervision of additional director, joint director and two DIGs. The investigation team is being assisted by experts from banking, accountancy, engineering works and computer forensics, and officers dealing with NRHM scheme under the Union ministry of health and family welfare. The NRHM funds to the tune of about Rs 8,000 crore were allocated to the state of Uttar Pradesh for the period 2005-06 till date by the Union ministry of health and family welfare. The scheme involved purchase of medical equipment, medicines, ambulances as well as contractual hiring of manpower to carry out lower level health monitoring and related duties in villages. The funds were spent through 72 CMOs in UP and other nodal offices all over Uttar Pradesh under various schemes approved by the government of India involving a large number of beneficiaries. A number of these works have been executed through several state public sector units, NGOs and a large number of contractors and firms, spread across UP, Delhi and Haryana.